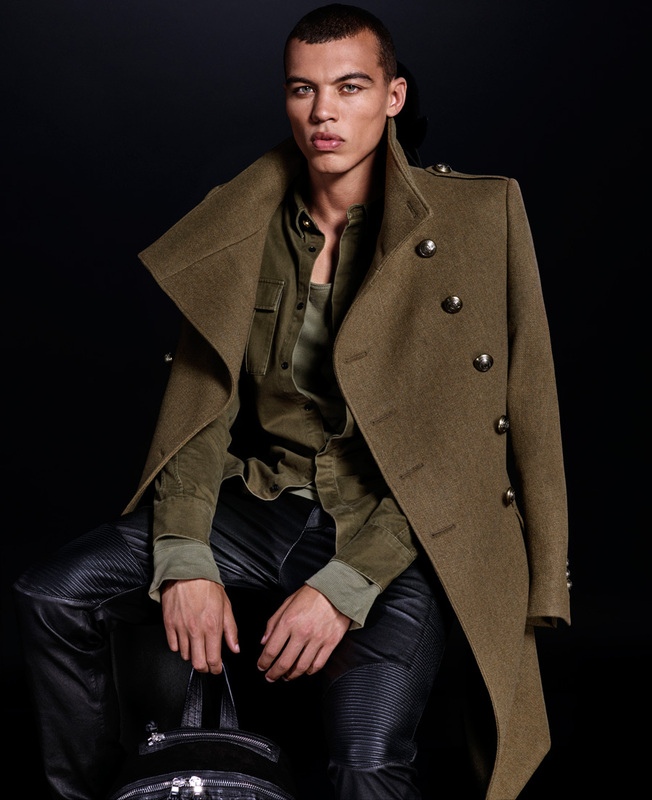 Oliver Rousteing, the talented, young creative director at historic French fashion house Balmain, has partnered with H&M to create a line of affordable, high-couture menswear. 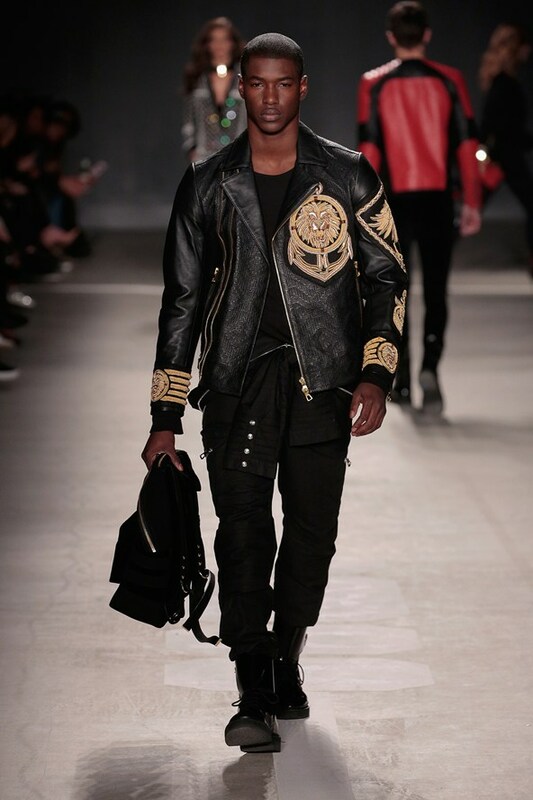 The Balmain X H&M collection features sharp and sophisticated streetwear with strong silhouettes and rich detailing. 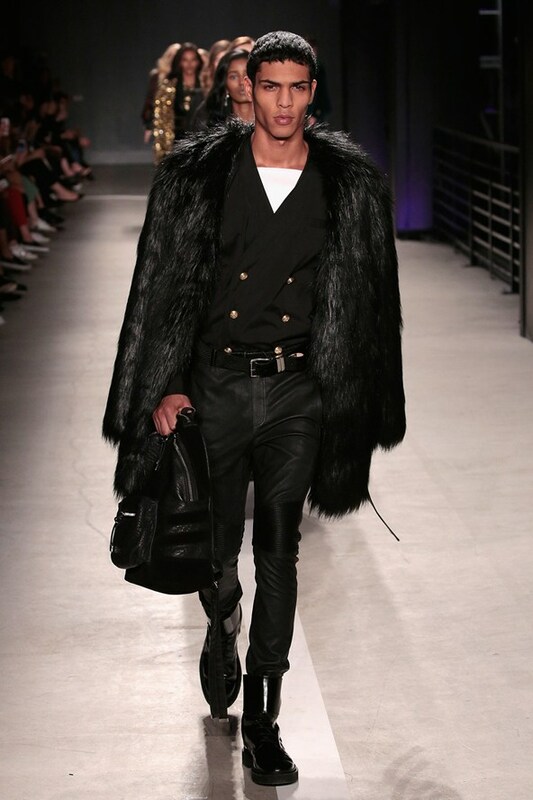 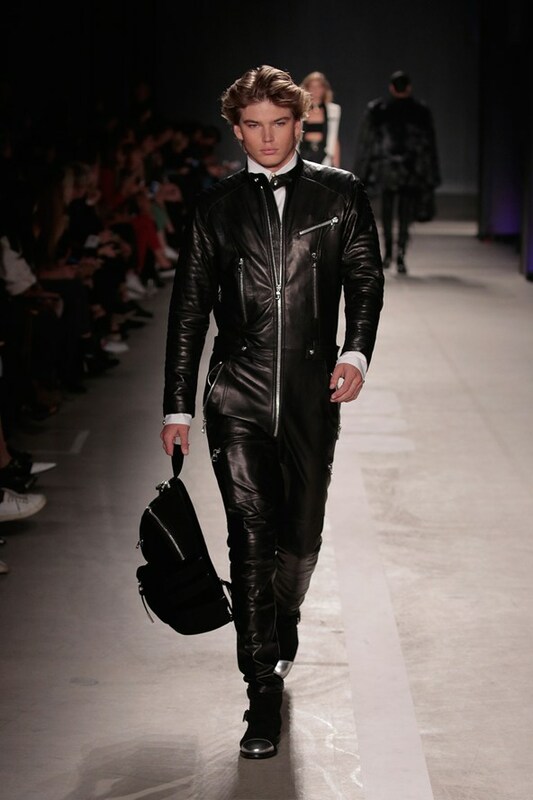 The collection includes military-styled jackets, ribbed leather motorcycle jackets, double-breasted blazers, hoodies, knit track pants, ribbed jersey T-shirts, footwear, bags, and accessories. 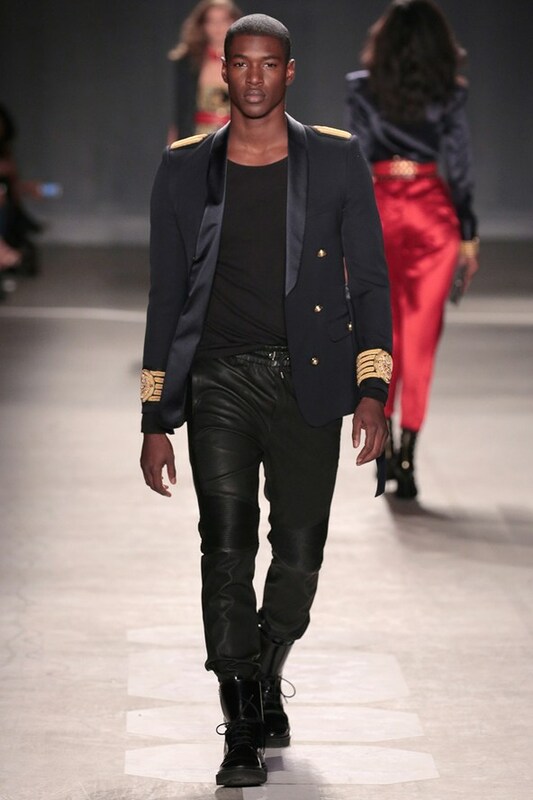 Rousteing unveiled the Balmain X H&M Collection in New York during a high-energy fashion show held in a Wall Street venue that was transformed into a subway terminal. 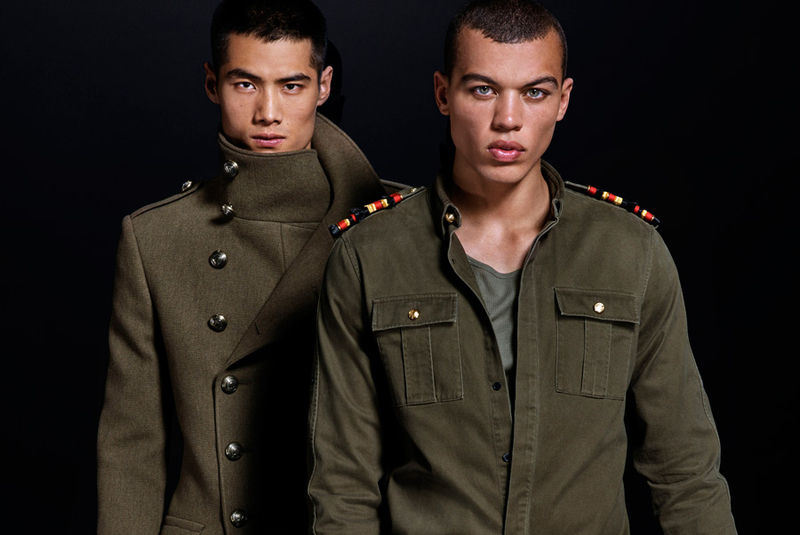 The Balmain X H&M collection will be available in-store and online on November 5th.